I watched this Korean drama last week, and this is one of those romantic dramas where you go through the ups and downs with the couple and see how they sacrifice for each other and then make you feel so sad and emo about it. The feeling of seeing them together is just like how one would feel watching Boys over Flowers, although I thought Boys over Flowers seemed to have more originality, perhaps cause the storyline came from a Japanese manga? It feels really typical of dramas where you have a rich guy who usually doesn’t date the poor girls who are not those pretty doll-like type of girls. Add in the evil mother who doesn’t wish her son to marry downwards and keeps finding girls to matchmake to her son as she thinks that the marriage is like a business transaction. Sounds really like Boys over Flowers too huh. And that the rich guy has this obnoxious attitude that just puts people off but feels so weirdly cute when he finishes off his words with a very touching sentence? And add in the fact that the Korean language sounds so coarse at times, you wonder if you have met “My Sassy Girlfriend”. But there are other less typical parts of the story. The main story revolves how their body swap actually made them learn more about each other and the people that the other half interacts with daily. It is not original but at least you have some fun laughing because the character totally changes and hence weird stuff happens. Overall I thought it was still a great drama to catch. Fun to watch and it gave me many laughs too. Good for destressing and it is only 20 episodes! 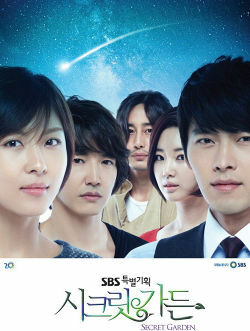 Posted on May 31, 2011 by ignorantsoup	This entry was posted in Kdrama, Videos. Bookmark the permalink.